I've been asked to teach a basic sewing class for the ladies in our church. I'd like to ask for some suggestions. Do you have favorite basic sewing books or blog posts out there? I will probably start with machine usage and maintenance, but am unsure how to go from there. Narrowing this down to an hour is a little overwhelming. I could talk for hours about sewing. If you were teaching someone new to sewing, what would be the most important things for them to learn? On a side note, my Color Wheel Quilt was featured on Modern Day Quilts yesterday. I love that site. Heather always posts such amazing projects. I'm thrilled she included mine. I have found so many great bloggers through her posts. Finally, a post without pictures is boring so I thought I would share what I had to clean up yesterday. 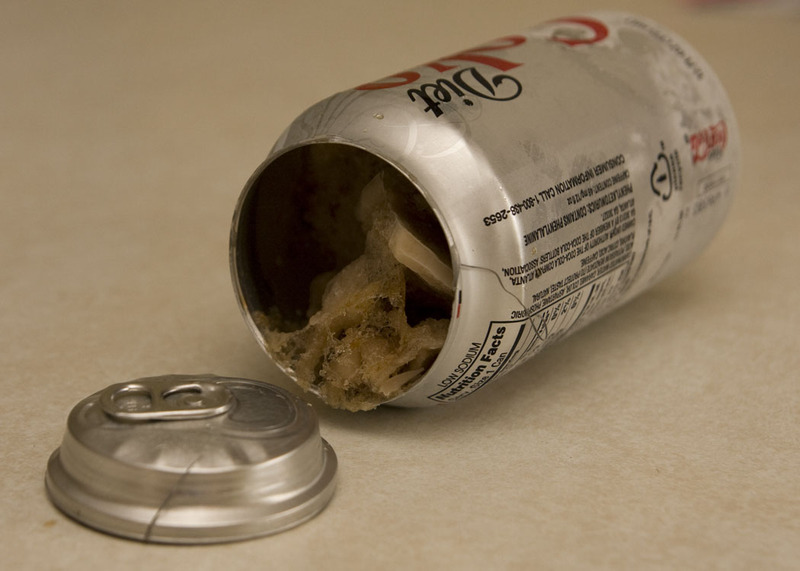 I like my Diet Coke COLD--like with little tiny ice chunks in it. I'm pretty good at this. If it's already cold, it just need a few extra minutes in the freezer. 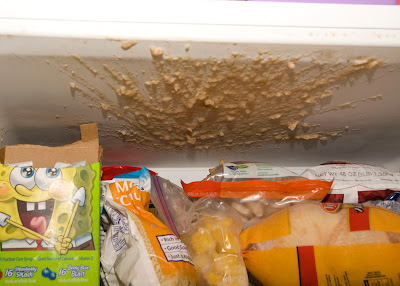 If it's not cold, it needs about 35 minutes in the back of the freezer. I'm super forgetful, so I just set the timer for when I need to pull it out. Yesterday I forgot to set the timer. I'm sure I'll be finding Coke ice chunks for months. The funny thing is that in the afternoon I heard a very loud noise, like a gunshot. I'm pretty sure that was the top of the can exploding. I have actually done this once before. I really need to remember to set that timer. How to cut enough fabric. Color combinations-what works, what doesn't. Seam allowance, chain piecing, pinning, grain of fabric, pressing... What the rest of us ignored when we started. When I looked at my blog this morning I had to look at that picture more closely. It really made me LOL. Thanks, I am giggling with you! One hour!!!! You have to teach the basics in ONE HOUR???? And when you say Basic Sewing class, are they wanting Basic sewing for garment sewing or quilting?? I think that would make a big difference. I've taught a basic quilting class before (not in one hour) and it is still necessary to go over the basics of your machine, then for quilting the 1/4" seam allowance, fabric types (cotton vs poly), pressing, threads, needles, how to read a pattern, etc, etc. I think like you said, you could talk for hours just about the basics. Oh no! I have most definitely done that before, argh. As for basic sewing skills, an hour is tough! I took Sewing 101 at Joanns way back when I first got my machine, and I think the lady talked about machine basics, Seam allowances, purposes of a few basic stitches, fabric grain, and I want to say the lady had her "sewing toolbox" and went over important notions to have on hand. I want to say we had to bring some scraps of fabric and we practiced sewing a few stitches and how to piece with proper seam allowances. Hope this helps, good luck! I agree with what laura said but you're right it wouldn't take up an hour. . . I would bring your machine and let ppl try out and then that would take up the rest of the time. When I took home-ec, one of the first things we did we the sewing machine was stitch without thread on paper. There was a worksheet with curvy and zigzag lines we had to punch. It was a good way to get used to following the lines and maneuvering the fabric without having to deal with thread. Is it general sewing or specific to quilting? If general, I think how to read a pattern is crucial. Will they be bringing sewing machines with them? If this is a basics class, I think you'd want to go over the basic parts of the machine, talk about presser feet, how to thread the machine. But that's hard because it's so machine-specific! You could go over some helpful notions to have. I think it would be nice for you to do a demo on your machine and show them the basic stitches, back-stitching, seam allowances, etc. Hopefully they'll have lots of questions! Oh, just saw your edit about the machines. I think you should show them how to thread those machines, wind the bobbins, change the needles, etc. You might even bring some scraps to have them practice sewing on the machine and playing with the stitches. I think "The Practical Guide to Patchwork" by Elizabeth Hartman of Oh Fransson is a good book - basics, yet modern & available. In addition to the great basics mentioned above - also thread & quality of fabric...just a thought. Oooh basic sewing... I just helped my friend make her first quilt. She was great with the cutting, did well with the rotary/mat/ruler, very excited when it came to laying out her piecing, she was all for it...UNTIL it came to actually touching the machine! I have never seen anyone so flustered, she was literally scared of it. I ended up moving 8hrs away soon after she started her quilt...and she would not finish it until I was on the phone with her to walk her through it. She ended up texting pics of the machine so I could tell her what all the knobs and settings were for. I think if these women have never machine sewed before you have to start with the machine. Sewing Machine = your friend not your enemy! tools needed in a basic sewing kit and what they are used for, i.e. different types of scissors, seam rippers, rulers, marking pens, etc. So nice of you to teach this beginners class. When I think of my first attempt at sewing, I remember needing to know how to thread machine and bobbin, how to read the seam allowance on the face plate, how to start and finish a seam, how to set stitch length, how to pin, grain of fabric. That should easily fill up an hour!! About that coke...done it with a beer! Big Yuk! Wow, that's a tough one! Is it only one hour, or a one hour class every week? If the class meets a few times I think the best way to learn is by doing. After you go over the parts of the machine (and how to maintain it), have the ladies make something easy (like a pillow). I like Petit Design's list. Needles, threading, and tension are at the top of my priorities. I would also say try to sew as much as possible. Start sewing scraps before you explain anything and use the experience to illustrate your concepts. Demystify the machine. Going through a catalog of notions would bore me to tears. I remember when I took sewing in school (yes, in the OLD days we were able to take sewing. Although it wasn't my favorite class, it proved to be one of the most useful classes I ever took when I became an adult), that our teacher helped us learn to sew a straight or curved line by following concentric circles and boxes from the outside in, and then inside out. She had these on paper (using an old needled, of course). It helped a lot. I'm really sorry about the mess you have to clean up but I couldn't help but giggle at Spongebob's obvious delight in your predicament! Lol! I'm doing this in my ward in October. I was thinking of machine basics, how to thread, wind and load bobbins, and tension. After that, I'm all about having them read the manual for machine specifics that really vary by machine. We will talk a little about fabrics, tools and cutting. We are then doing little stations where they can pick what they want, with a different person teaching each station. We decided to focus on mending, since most people want to learn that before they dare to move on to making things from scratch. We will have stations for hemming (by machine and by hand), patching holes, putting in a zipper, and how to read patterns (for those who are wanting to move on to that). Our plan also includes a 2nd class sometime in the spring for quilting and maybe bag making - more project specific. I think it has all been said but I like what Colleen has said. After all the basics why not get them to make a pillowcase-nice and easy, something useful and could even be with French seams. For the class, is it specifically sewing machine sewing they're interested in? Do they, for instance, know how to sew on buttons, sew up a hem on a pair of trousers/skirt that's come down? One of the basic sewing things I can still have trouble with if I'm zipping along too quickly is letting the fabric slip apart as I move down the seam. So you really either have to pin or slow up a tad every few inches to make sure your pieces are feeding straight. As you know, no matter what you're making, a sewing where you actually wanted to sew is important. HAHA! 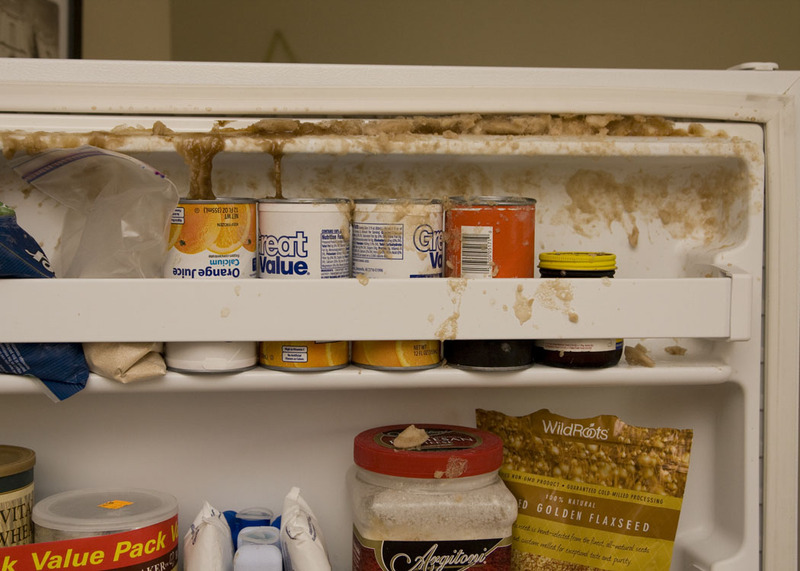 Thanks for making me laugh with your coke pics... we've had that happen at work before... lots of clean-up! Petit Design Co. said it best. But even more basic, bring them each a needle of their own and teach them how to thread it and tie it off then sew a button to a scrap of fabric. Really, a woman in my ward once hot glued her dress button on because she was desperate. Most people I know don't really want to start sewing things from scratch, they need help with mending. If a seem comes out or a button comes off they can't wear their clothes.